Can i replace the original UMO+ feeder design with the MK8 Feeder ?and how ? This would be a good upgrade but you have to print your own mount. how? can't i use the mk8 directly ? what are the modifications that i need? do you have a design that i can print ? You'll need to design an adapter for it, something like this but for that particular feeder. There would also be a firmware change needed to account for the different motor steps/mm on the new feeder. What is your actual problem with the UMO+ feeder? Mine works well--it's just a little noisy. Mine works well also. @migo - make sure spring is compressed to about 10mm when filament is loaded. If not try tightening the screw some more. I did have one problem with my UMO+ feeder that I just remembered. The black plastic roller that press-fits over the ball bearing became deformed and wasn't feeding the filament evenly. I replaced the plastic part with a ball bearing that fit over the existing bearing and the problem was gone. Since the ball bearing is made of metal, it should last a very long time. my problem with umo+ feeder that i can't find it's components here , if i can find some replacements for them i will use the umo+. like the knurled wheel, quick fit coupling , clamp clip .AND FOR THE PRINT HEAD TOO I CAN'T FIND THE TEFLON COUPLER .so any suggestions ? Wow - you are missing a lot. Well the teflon coupler is the most important - if you are missing that you are really screwed. 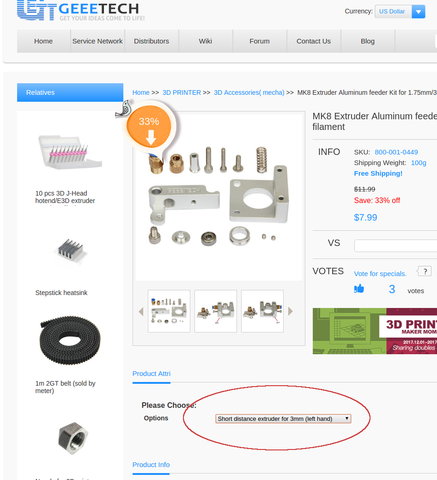 You can get a UMO teflon part at 3dsolex.com Make sure to get the version for 3mm filament. The other parts I don't know about. Is there a UM reseller in your country? It looks like you might be in Egypt (moderators get to see countries of posters but it is an unreliable feature). Anyway, I don't know if there are any resellers there - in theory one could get the part numbers of those parts and the reseller could order it form Ultimaker. I think you are better off getting that feeder you posted a photo of. That one looks fine - you just need a way to position it somewhere. You can even simply hang it by string from the celing - it doesn't have to be held very securely. I would personally just hang it with some string initially and then the first thing I would print would be my own custom design to mount that to your printer. Oh - that feeder you posted a photo of. Is it for 3mm filament or 1.75mm filament? I recommend you stick with 3mm. If you get a 1.75mm filament feeder you won't be able to attach the bowden tube to it. And if you buy a 1.75mm bowden then it won't fit the print head. You definitely want to get a 3mm feeder. don't get the e3d print head. No good for pla. pla is the best filament. The best material. But the e3d print head only works with ABS and other difficult-to-print materials. ABS is one of the first 3d printed material that got popular but pla has better characteristics. Other materials are better than ABS like nGen. Unless you are absolutely sure you want to print ABS (it will require a heated bed most likely and you will have to enclose the printer and it will smell very bad) then the e3d print head is great. Just get the one part you need from 3dsolex - the UMO teflon part. Now those other parts. They are 90% likely to be for 1.75mm filament only. Unless they specifically sell 2 different versions, then they will be for 1.75mm filament and will not work for you. I know the text says "for 1.75mm 3.0mm filament" but that's deceiving. They just copy/pasted the description. There are two different sets of parts. They change those brass parts at the top and bottom and they also change the 2 extruder wheels depending if you want 3mm or 1.75mm version. Are there companies there that sell 3mm filament? 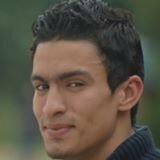 Are you really in Egypt? What country you are in is very important. If you are in USA I have COMPLETELY different recommendations. I guess before you do anything look to see if you can even buy 3mm filament (it's actually 2.85mm filament - they just call it 3mm). 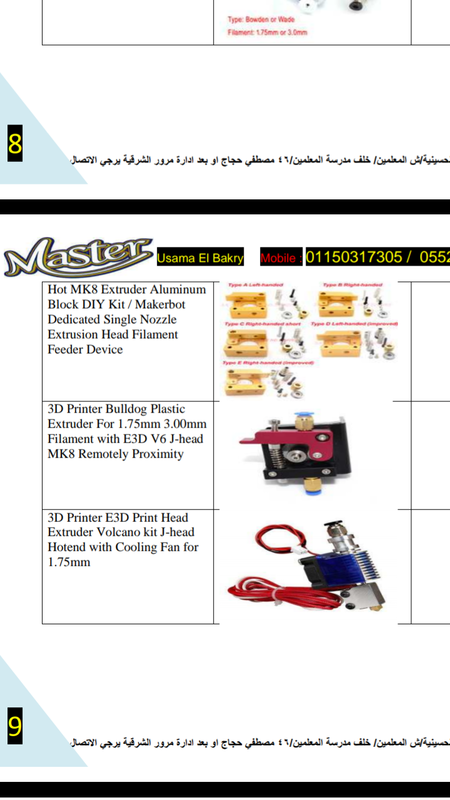 we are the first in Egypt to make ultimaker so it is very difficult because ultimaker is not familiar here , but it is already became our graduation project .so we have to do it anyway ..
i will look for the 3mm feeder . 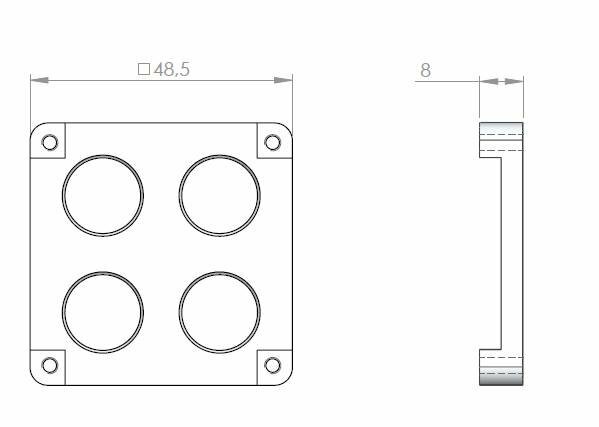 i will make the aluminum holder too but i need to know what is the type of the alminuim ?and what are the circles diameters ? 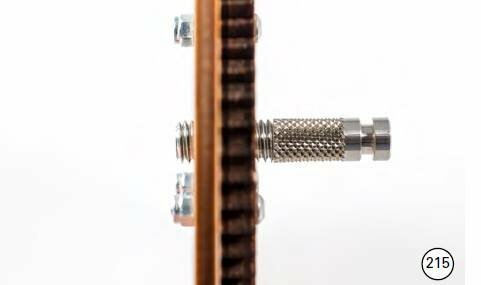 is there a design for the teflon coupler that i can print ? If you have a lathe and some teflon you can make your own. But it MUST be made of teflon. This is the most important material in the entire printer. You can't 3d print it. It's only about 15 euros plus maybe 10 euros shipping? Hopefully you can get the budget for that. 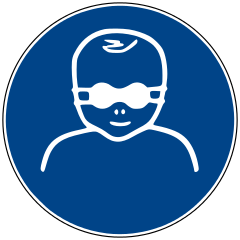 the peek isolator available online too ? Well if you are on a tight budget go to aliexpress and search for "ultimaker original peek" and "ultimaker original ptfe". 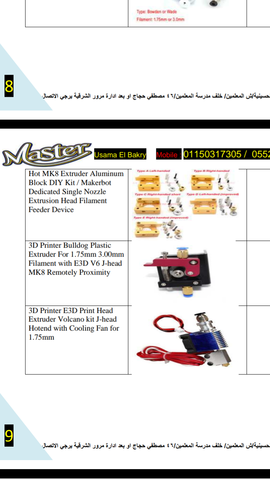 I don't know which UM resellers ship to Egypt and also carry UMO parts. I know USA market much better. 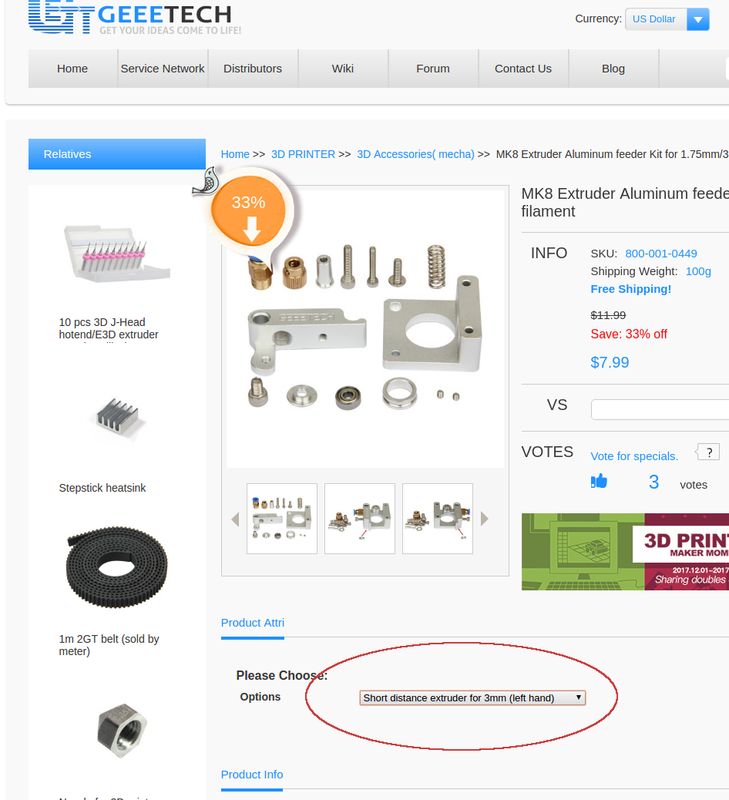 You can get pretty much any part for the Ultimakers on AliExpress. I don't know about the quality, however, and shipping can take a long time, at least to the US. The PEEK isolator is on there, but delivery time is up to 20 days.